Mr. Lyons-Tarr, Chairman, noted a quorum of the Board was present. The meeting was called to order at 8:30AM EDT. Mr. Lyons-Tarr thanked Board members for taking time to travel to the meeting. Welcome to the Foundation senior staff, and thank you for taking time to meet with the Board this morning. It was noted the first name of the patient named in the Mission Moment was Alex, not Alice and there were two minor grammatical errors to correct. A motion was made to accept the minutes, pending these edits, a second called. Motion was passed unanimously. In 2007, Vincent Geczik, who passed away in 2011, and his Patricia, who passed away in 2013, established the Geczik Charitable Remainder Trust in honor of their daughter Dana, who was diagnosed with PNH. The Foundation has funded three projects which cover the different phases of the disorder from diagnosis to treatment and a cure. by; Dr K. Hosokawa, Drs. A. Risitano/R. Calado and Dr. R. Brodsky. These grants present a focus on international research totaling $285K; $100K to Dr. R. Brodsky, $100K to Drs. A. Risitano & R. Calado and the remaining $85K to Dr. K. Hosokama. Re-election of current member: Stephen King. A motion was made to re-elect Stephen King to the Board of Directors. Motion was passed unanimously. The 'Leadership in Service' candidate is John Huber for his seven years of service as Executive Director of AAMDSIF. The award is to be presented Mar17, 2016 at Scientific Symposium in Rockville, Maryland. The 'Leadership in Science' nominations are being made by the Medical Advisory Board(MAB). The Board has received 10 nominations from the MAB. The group represents a good mix of candidates. As in the past, the former recipients will determine the winner. The 'Leadership in Philanthropy' candidate is Lois Gaynor. Over the years, Lois has been a steady and positive influence on the Foundation. A motion was made to accept the nominations and second was offered. Motion was passed unanimously. We came into this year in a strong financial position. This position allowed the Foundation to weather some shortfalls in 2015 on the revenue side. The investment accounts have been flat for the year. As of this meeting, the account allocation is 64% equities, 31%Fixed income and 5% cash. The Foundation has changed how it presents the budget to make it easier to understand and see each of the revenue and expense categories. The Board discussed the importance of making sure our constituencies can more clearly see what the Foundation offers. Ms Weis pointed out that a new publication the staff developed that more clearly explains what the Foundation does with its donations. Ms. Weis indicated that expanding and diversifying funding sources was a key part of the 2016 plan. Paul Scribner has returned as Senior Director of Patient Advocacy and will begin in January 2016. Angie Onofre has been promoted to Director of Patient Education. Becca Scott was hired to be the patient support specialist. Leigh Clark will continue as a Patient Educator. In 2015, the Foundation hosted six regional patient and family conferences. The Foundation conducted 20 webinars. The best attended being on the topic of 'Bone Marrow Transplantation'. Others included 'AA/PNH Dual Diagnosis', 'MDS Diagnosis' and 'How to read a laboratory report'. The Foundation is directly associated with 18 Communities of Hope, 60 in conjunction with the Leukemia & Lymphoma Society, eight in partnership with local cancer centers and three new communities developing in Alabama, Missouri and Virginia. In 2016, the Foundation will host 7 regional (see Important Dates at the bottom of these minutes), the seventh is Seattle which we do every other year. Spanish tracks will be offered at the San Diego and San Antonio conferences. A Friday night social is being added before the conference to promote patient networking. The Online Learning Center will be redesigned to make it more intuitive and improve navigation. On the subject of international reach, the Foundation will look to strengthen and better clarify the Foundation’s role in the MDS Alliance. Participants in the Alliance include organizations from Germany, Spain, Canada, and the USA. Ms Weis will be taking part in a strategic planning meeting for the Alliance at ASH. Leadership rotates and is now in Germany and Canada. Our Foundation acts as secretary of the Alliance and manages the money. There is no compensation for these duties. Finally, metric evaluations are being implemented to assess program impact. Ms. Salkeid presented an overview of some the key initiatives in the area of research that the Foundation has undertaken and is working on for the coming year. The MDS Clinical Research Consortium(CRC) is in the third of a five-year program and has had a banner growth year. All sites are participating in research protocols. Ms. Salkeid outlined the significant results the CRC is now beginning to generate. Including all fellows, faculty and collaborators, there are145 abstracts at ASH, 51 directly focused on MDS as primary topic and 19 posters/papers. There were also three articles in peer reviewed journals - with more to come in the future. In addition, one of the CRC studies was selected for an oral presentation at ASH – which is considered to be highly prestigious and demonstrates the importance of the work being done by the CRC. The CRC has launched Crush MDS. For 2016, the Foundation's Medical Advisory Board(MAB) currently has 22 members. 2016 goals include; aligning member interest and the role to AAMDSIF, formalize terms of service and the invitation process, scope and amount of funding distribution will review and upgrade the applicants and reviewers. It was brought up that the MAB co-chair previously attended several Board meetings but hasn’t as work with the CRC grew. The Board is looking to have the MAB take part more formally in some way at future meetings and ideas on how to accomplish this were discussed. 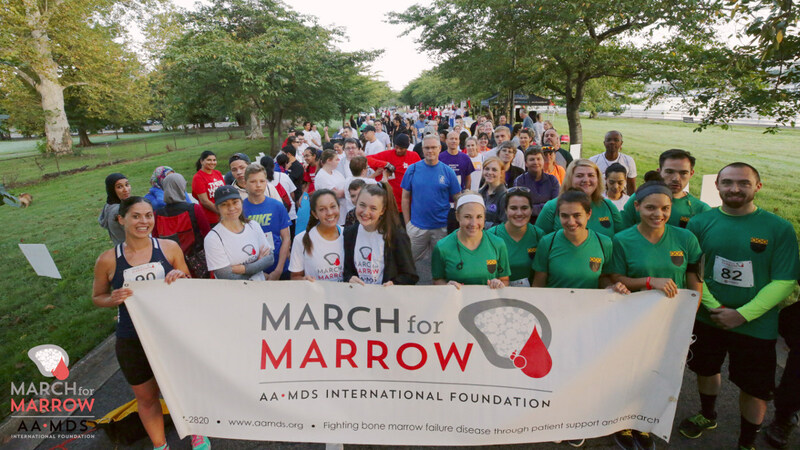 The Foundation attended three Bone Marrow Failure Disease Symposia in 2015 at Duke Medicine, University of California-San Diego and the University of Florida. Foundation representatives also attended ONS Congress and ASH Annual Meeting. A Health Professional outreach to community-based hematology/oncology professionals is available and includes a new webcast – 'Assessing Anemia and When to Suspect MDS', development of a community of hematology and oncology panels and Nurse Leadership Panel. Web traffic continued to grow in 2015. Goals for 2016 include a site redesign to incorporate relational design principles, improve UX and navigation and better integration with YouTube and the OLC, social components, online chat, live map, kid's section and 508(disability compliance). The Foundation has done little marketing on social media, which will be addressed in 2016. On Human Resources, Ms. Weis indicated that the Foundation will undergo an ‘HR Audit’ to identify the HR requirements of the organization, review all policies and HR procedures, as well as benefits. The vision is to strengthen and build sustainable and diverse revenue streams. There is a need to do a better job of connecting donors with what the Foundation is doing with their donation. There will be a focus on individual donors with more person-to-person interaction, more mailings for older donors and efforts to create ‘major donor’ cultivating events.. There will be an increase in salaries and benefits as we are implementing annual reviews in 2016. The staff feels confident of meeting the goal on the revenue side. There was discussion about how the CRC funds are received, and how they are dispersed. Ms. Roche indicated that the funds are received annually from the Evans Foundation, but the payments to the centers are made as requests for payment are submitted. This can create timing differences. It was also questioned what impact this timing issue has on things like the Foundation’s Charity Navigator rating. 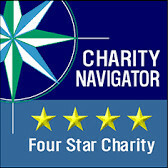 Ms. Roche said that Charity Navigator understands the nature of non-profits so the CRC funding will not impact our rating. A motion was introduced to accept the proposed 2016 budget subject to their being a review of the progress at the June 2016 Board meeting. A second was made, and the motion passed unanimously. It is believed the Foundation is not of the size to need a full time HR person. The Executive Director is looking into a contract solution. The foundation first needs to complete its audit process. Ms. Weis was asked whether salaries are competitive in the market. She indicated that will be addressed in the coming year. The Foundation's building lease expires in 2016 and Ms. Weis suggested that the Foundation consider finding a more desirable location/facility. It was agreed that Ms. Weis will begin looking at suitable alternatives in the new year, and come to the Board with a proposal prior to making any commitment. The Board states the Foundation needs to think about value-proposition for the individual as well as corporate donors. What is our service package for our patients? It is important donors can see the results of the research so they know the how their donations are utilized. It was noted that 2016 is a strategic planning year as our current 3-year plan runs through 2016. There was discussion around the process for developing the plan and it was agreed that we would engage a new consultant on the next plan. Ms. Weis indicated that she will do some research and come back to the Board with a suggested partner on the project. There was also discussion about making sure the plan draws input from all key constituencies. Mr. Lyons-Tarr thanked the Board Members for their important and significant contribution to the organization. He also expressed the importance of making sure we have 100% Board Member participation with regards to donations. The 2016 Board meeting dates were proposed. and agreed. The Board discussed and agreed that adding an additional couple of members to the Board would be beneficial. It was agreed that adding a physician to the Board would be worthy of consideration as part of this expansion. The Board also discussed the possibility of an international Board Member. The Board agreed to put a committee together to determine a matrix of what the Foundation needs as far as Board composition and candidate qualifications. The group will then identify, vet and nominate potential Board candidates. The Board asked that an order be placed to get the Board members updated business cards and Foundation Email addresses be created for each Board members. There being no further business, a motion was offered to adjourn, a second was made, a vote taken and the motion passed unanimously. The meeting was adjourned at 2:25PM. The Chairman called the meeting to order at 2:28PM. The Board reviewed and discussed in detail the financials of the Foundation. Mr. Shulevitz asked for clarification about the financial/operational agreement between AAMDSIF and The PNH Foundation. Mr. Shulevitz suggested, and the Board agreed that further discussion on this topic would be covered as part of the 2016 strategic planning process. A motion to request to move the surplus funds to research, based on the year-end financial situation was made. A second was offered. A vote was taken and the motion passed unanimously. There is a request for the foundation to fund an in person meeting of the PNH Committee. There are five volunteers in total, two who sit on the AAMDSIF Board. A motion is offered to move upon the advice of the PNH Board members and to hold a meeting to have the committee members meet the AAMDSIF Board or staff. A second was made, a vote taken and the motion passed. There being no further business, a motion was offered to adjourn, a second was made, a vote taken and the motion passed unanimously. The meeting was adjourned at 3:00PM.. Published on Thu, 09/15/2016 - 10:12am.